Setting the agenda for adventure travel with a purpose, Relief Riders International announces 2 spectacular rides for 2018: July’s Andes/Amazon Relief Ride through Ecuador and November’s Pushkar Relief Ride to the famous Pushkar Camel Fair in Rajasthan, India. For over a decade, Relief Riders International has taken intrepid explorers on unforgettable horseback journeys to the most far-flung corners of the Earth. From the mountains and rainforests of South America to the open plains and rolling dunes of Rajasthan, each ride offers an unforgettable adventure. 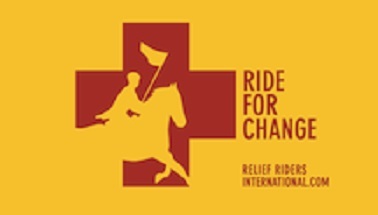 Riding through remote and unspoiled landscapes to provide humanitarian aid to local rural communities, Relief Riders International quite literally takes you off the beaten track. Behind each ride is a genuine and pressing humanitarian cause. Since 2004, Relief Riders International has improved the lives of 25,000 people, including 18,700 children across India, Turkey and Ecuador. It is this philanthropic bent that sets Relief Riders International apart from other horse safaris. While the Andres/Amazon Relief Ride is in conjunction with the Ecuadorian Red Cross and includes two medical camps (covering ophthalmology, dentistry, CPR and gynecology), November’s Pushkar Ride focusses on resourcing remote schools; the Give A Goat program; and a dental, eye and obstetrics medical camp. Each ride is different from the last and carefully tailored to its unique group of riders. The Andes/Amazon Relief Ride (from 20 July – 1 August 2018) begins on the Andean Plateau – home to the Quechua tribe – and leads down through the cloud forest before crossing to the Amazon (by plane, canoe and on foot) to spend time with the Sàpara people, an indigenous tribe known for their encyclopedic plant knowledge. 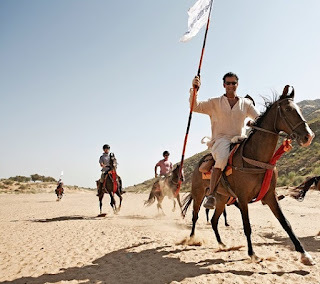 Meanwhile, the Pushkar Relief Ride (11 – 20 November 2018) crosses through the ancient Thar Desert to the internationally-renowned Pushkar Fair, the world’s largest horse and camel fair: a major Rajasthani festival involving traditional dancing, live music, acrobatics, sports, fairground rides, local sellers and all-day feasting - a spectacle on an epic scale. or follow @reliefriders on Instagram.